A cleansing treatment to help provide relief from itching and inflammation associated with skin infections responsive to chlorhexidine and climbazole. DOUXO® Chlorhexidine Shampoo is a formulation designed for the antiseptic cleansing of the skin of dogs and cats. It is soap-free and contains gentle cleansing agents and moisturizers. 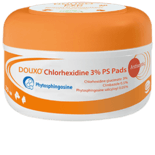 DOUXO® Chlorhexidine Shampoo also contains Phytosphingosine, a pro-ceramide to help rebuild natural ceramides in the skin that are critical in helping keep the skin healthy. 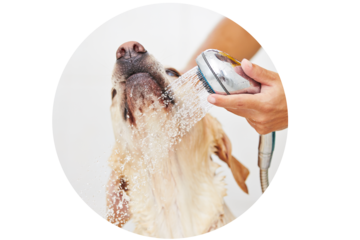 If you have difficulty bathing your pet, DOUXO® Chlorhexidine Shampoo can be used alongside DOUXO® Chlorhexidine Mousse or DOUXO® Chlorhexidine Micro-emulsion Spray. This is a soap-free, low-lather shampoo. Do not over-apply. Chlorhexidine gluconate 3%: an antibacterial and antifungal agent. Climbazole 0.5%: an antifungal agent. Phytosphingosine salicyloyl 0.05%: phytosphingosine (PS) is found naturally in the stratum corneum and some skin ceramides. PS applied topically can help restore the skin barrier. 2. Study conducted in France using EU formulation comparing the efficacy of an antibiotic plus DOUXO® topical therapy vs. antibiotic treatment alone.  Clinical efficacy of DOUXO® Chlorhexidine Shampoo + DOUXO® Chlorhexidine Micro-emulsion Spray protocol in controlling superficial pyoderma in dogs in combination with cefalexin, compared to cefalexin alone.